Why does everyone always leave? What is so wrong about me? Lock me in a cage. I can’t take it any longer! Why was I left alive? Could live forever with Him. And You take away my pain. In Your arms, I am held tight. When I should have been looking up. You fight off my demons. You promise to always pick me up. This is a little piece of my testimony that pushed me to finally surrender my life to Christ in February 2014. Written by God through me during a 2014 summer mission trip in Santa Cruz, CA. 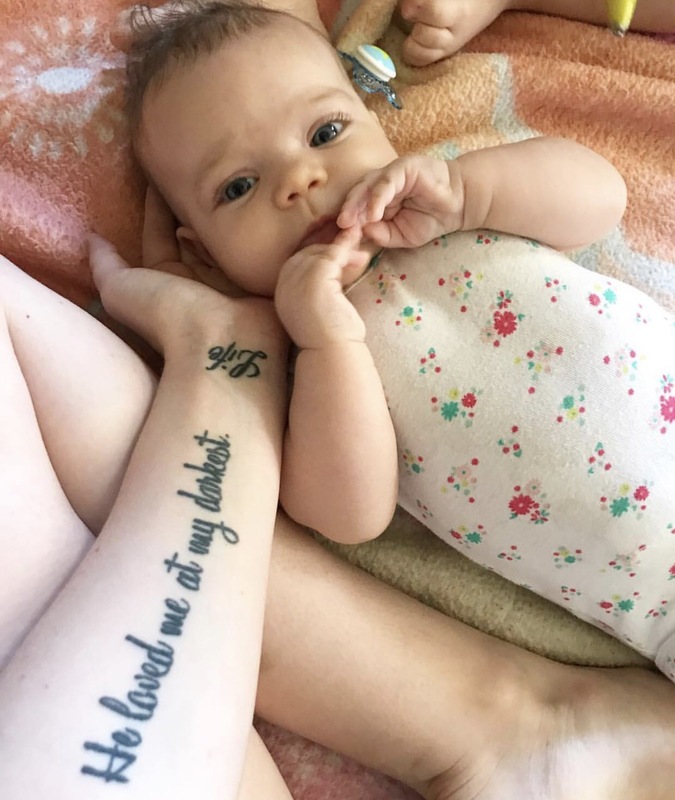 My “He loved me at my darkest” tattoo covering my scar from the suicide attempt & my beautiful daughter, Isabelle. God supernaturally saved me in that exact moment, not a minute too late. God knew then the beautiful life awaiting me right around the corner of all the darkness. Now I’m a mommy. Now I’m a wife. I’m a child of God. I’m a friend, daughter, aunt and sister. I’m somebody. And I’m loved. So are you! Don’t let the present troubles keep you stuck. There’s more to come. Don’t give up! Please reach out to someone if you or someone you know is depressed, anxious, has suicidal thoughts, or just feeling mentally overwhelmed. You are not alone.